The North Shore iteration of this long standing cheap eat is just as good as its city brethren, and usually without the queues. 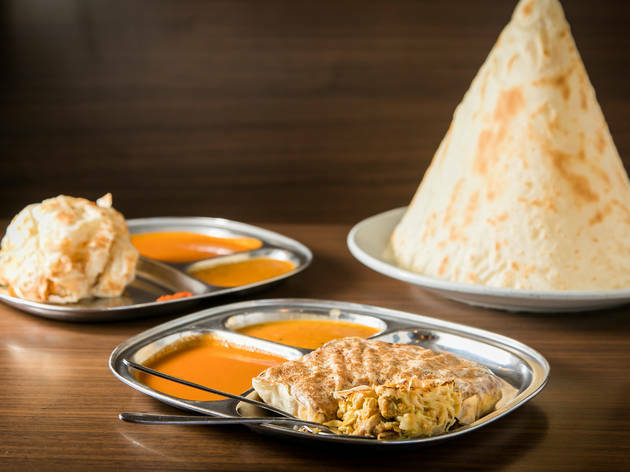 Roti canai here is a must – tear away bite sized bits of the fluffy piles of pastry and alternate dunking it between the three curries. Start with the gentle, nutty hum in the lentil curry, then step up to the fiery, fishy sambal before rounding it out with a rich, red chicken curry. 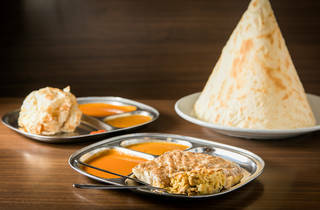 Make sure you take a bite of the roti on its own to appreciate the buttery layers and crisp to soft ratio.